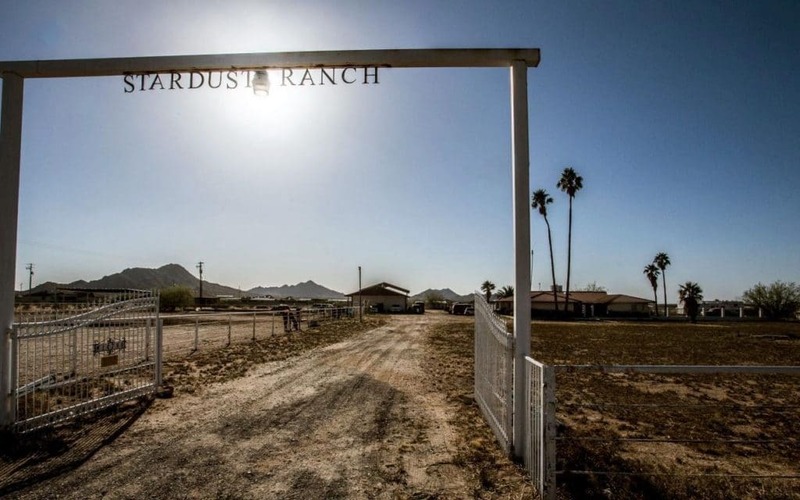 Alien hotspot Stardust Ranch is up for sale and for just $5 million you can own a place that is infamous for the many strange events reported by its owner and others. Also known as Alien Ranch, the Buckeye, Arizona, property might be right up your street if you’re on the market with a home with some otherworldly connections. The current owner, John Edmonds, claims he’s been attacked numerous times by aliens and has killed 18 of them with a samurai sword. He says ever since he moved into the house 20 years ago there have been strange happenings. However, potential buyers should be warned that we’re not talking about a few bumps in the night or strange lights in the sky. Edmonds often posts images on facebook of the injuries he’s received during his battles with alien greys. He uses the popular terms for the aliens often described in sightings and abductions. Said to have grey skin, with little body hair and with large dark eyes on a head attached to a fairly small frame. Travel Channel’s Ghost Adventures have visited Stardust Ranch where Edmond’s related his account of men in black visiting and various alien encounters. Though we do worry that if its not aliens that Edmonds has been killing with swords or shooting with the AK, who exactly is it? Also you’d think killing a whole load of people from an advanced space-faring race might have a few repercussions. Anyway, on the bright side you’re never going to be bored and there is even a swimming pool. As for Edmonds, he currently runs a horse rescue center from the ranch and is hoping to open one when he moves to Maine. You can follow the sale and read more about Edmonds and his wife on his Facebook page.